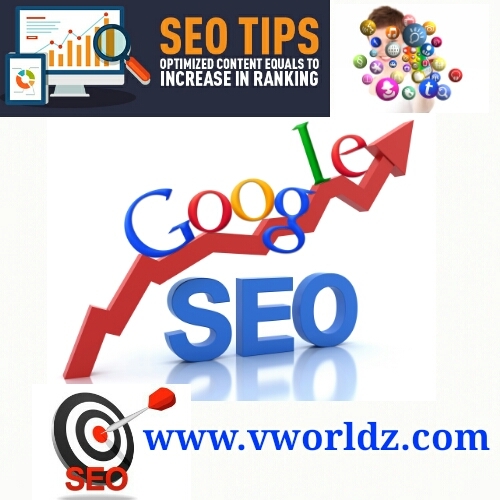 SEO:Search engine optimization Is Most Important For Blogger, website & YouTube. All Are show His Post In Google & encrese Traffic But All Are Not Success Because of many Reasons. So In This Post You Learn Important FREE SEO Tips. Apni Site Ke Liye Badiya Sa Domain Choos Kare ex. .COM .IN . NET .ORG .ME etc Apni Pasand Ka Domain name buy Kare Or Site Pe Set up Kare. Apne Site Pe Post Karte time Post Ka Tital Ek Dum Clear Hona Chaiye Post Main Kya Hain Sab Tital Padhte He Samne Wale Ke Mind Main Clear Ho Jana Chaiye, Tital Post Ki Jaan Hain use He visiter Impress Hote Hain! Post Ka Tital Set Karne Ke Baad Label Lagaye Post Ke Related Label Pasand kare Ex. Asap Blog Seo Ke Baare Main Post Kar Rahe Hain To Lable "Blogger trick" Seo trick" "Sep" etc Label Laga Sakte. Post Main Jyada Se Jyada word use kare or post Ke Related aap unlimited word main post Kar Sakte Hain, kam Se Kam 1500 word Ke Post Likhe. Speling Misteck Na Kare Post Main Bold, Italic, lining, Or Colour word Ka bhi use Kar Sakte. Post Main Topic Ke Related 1 Photo Jarur Add kare Kyo Ki 1 Photo = 100 words Hote Hain. ! 1 post Main Topic Related Or Photo Ka Bhi Use Kare. Photo aisa add kare Ki Logo Ko Pasand Aaye Jise wo use visit Karega. Permalink Matlb Post Ka Link/Url Jis Pe Click karke Directly Post Opan Kar Sakete. Premalink Short Or Tital Ke Related Set Kare. Permalink Main Search engine main Search Hone wale Keywords Use Kare. Off Page Seo Matlb Post publish Karne Ke Baad Post Pe Traffic/views Lane Ke Liye Hum Jo Karte Hain use Off Page Seo Kahte Hain. Off Page Seo Main kya karna ? Post Publish Karne Ke Baad use Facebook, Whatsapp, Gmail, Instagram, Twitter, Hike, aise Social Site Pe Share Kare. Jise In social site Se post pe Jyada views aate Hain . Search engine submission Yeah Off Page Seo Main Important Hain. Iska Matlb Hain Ki Hamari Site Or Post Ko Popular Search engine main Submit Karna Ex. Google,Yahoo, bing etc. Post Link Ko share Kare, apne 1 site Ki Link 2nd Site Main Dale, or aapke Mind Main aaye woh tarika aap off Page seo main try Kar Sakte.!!! Site Ya Blog Main badiya Mast disigin wala Template Use Kare. Template visitors ko impress Kare Aisa Hona Chaiye, Jise woh site ko dekhana Pasand Karega. Template site ko new look deta Hain. ! Yeah New Hain, Live Post Mtlb Koi Aisa Post Jo baar Baar Update Ho Ex. "Live Cricket score" agar Apke Site Pe Live Cricket score Show Ho Raha Hain To visitors Use Dekhna Pasand Karege ..
»» Apne Site Pe Live Cricket score Kaise Show Kare ?? Live Post Main Aap or Bhi Kuch Post Kar Sakte Yaha click Kare or dekhe other live post !!! I Hope You like this post , please Share This Post. 0 Response to "SEO:Search engine optimization All In One Tips For Blogger & website"